Welcome back. 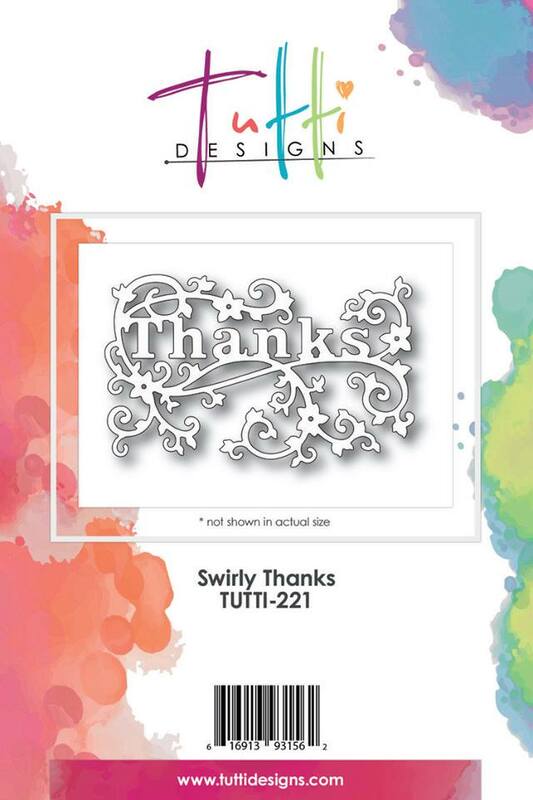 Hi, Nancy Hill for The Rubber Buggy Design Team and excited to share with you one of my favorite dies called Tutti Designs Swirly Thanks. You will want all six of the Tutti Designs Swirly word dies. 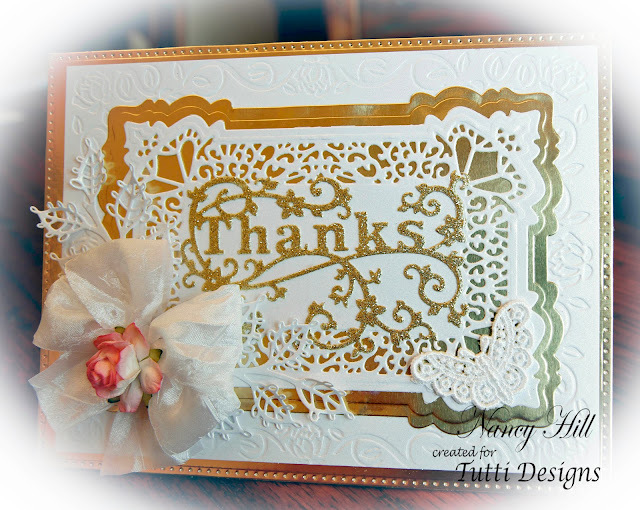 I cut the Tutti Designs Swirly Thanks using gold glitter card stock. I adhered a crochet butterfly on the corner. I made a double satin bow and adhered a Wild Orchid rose in the center.